This “C” Stand has a high profile base — its legs slide easily under furniture and other items on the set. 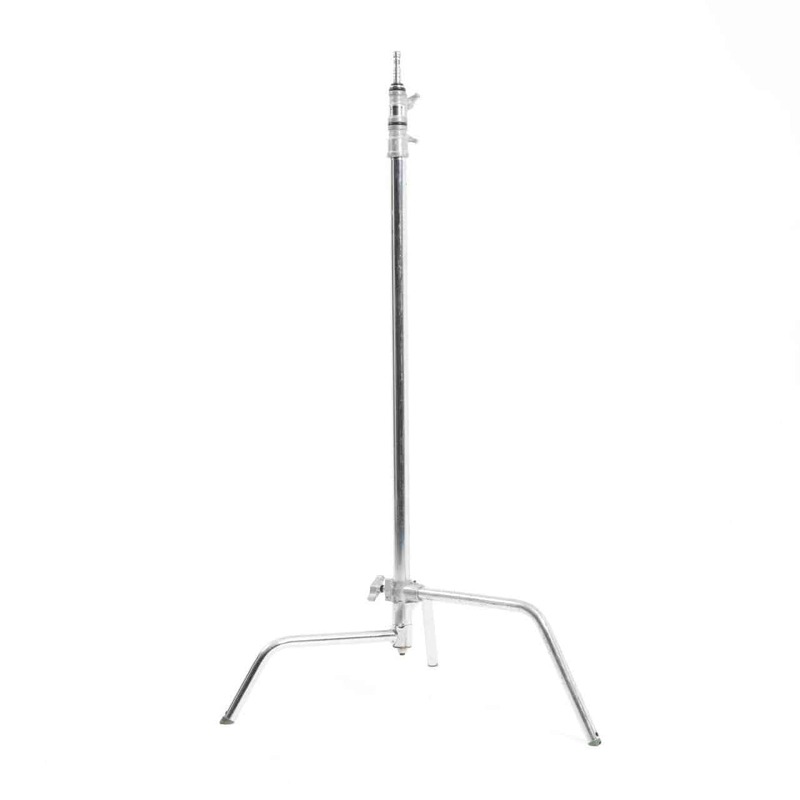 The unique staggered leg design of a C Stand allows it to be nested and placed extremely close to one another on a set. The top leg of the stand is independently adjustable for greatest positioning possibilities. Award winning Arri lights available for hire at studio hire London Cineview Studios.